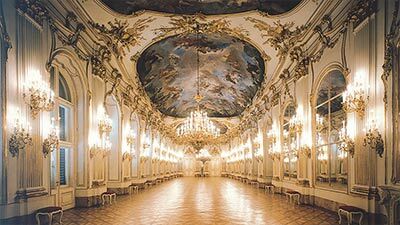 The most popular operetta arias, waltzes and polkas of the "Walzerkoenig" Johann Strauss - from "Die Fledermaus" and "Der Zigeunerbaron" to "Donauwalzer" and the famous "Radetzkymarsch" - comprise the second part. The orchestra is accompanied by two opera singers, a soprano and a baritone, and two ballet-dancers in authentic costumes. 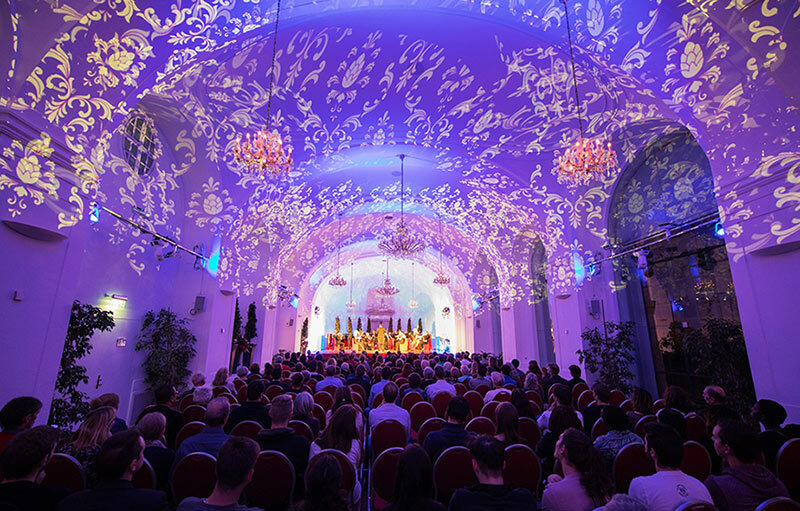 Even today, concerts are held in grand old style in this historical location. 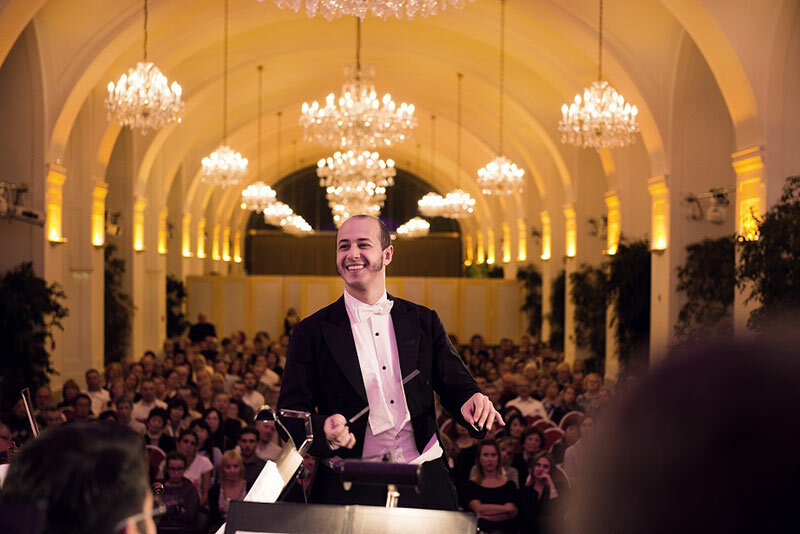 The Schoenbrunn Palace Orchestra interprets the most famous works by Mozart and Strauss at the original location every evening. 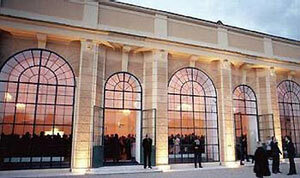 Todays Schoenbrunn Orangery was erected in the years 1754-1755. The architect Jean Nicolas Jadot is presumed to have been responsible for the planning. The construction was in any case the task of the Court Architect Nikolaus Pacassi as Jadot had already left Vienna in 1753. The Orangery garden was completed around 1760 after the erection of the building. On selected dates, the concerts take place in the Great Gallery located in the main building of Schoenbrunn Palace. 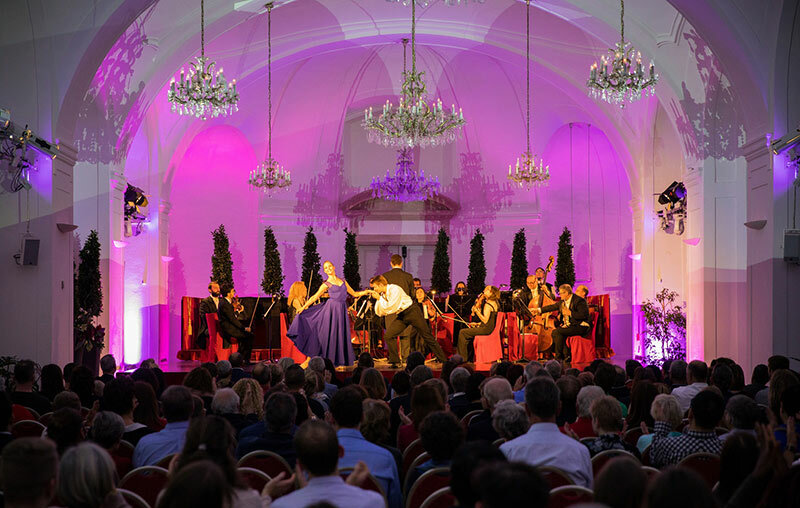 With its imperial atmosphere the Great Gallery is the ideal alternative venue for the daily classical concerts. The Great Gallery is over 40 metres long and almost 10 metres wide and provided the ideal setting for court functions back at the time of the emperors. From the mid-eighteenth century onwards, it was used for balls, receptions and as a banqueting hall. 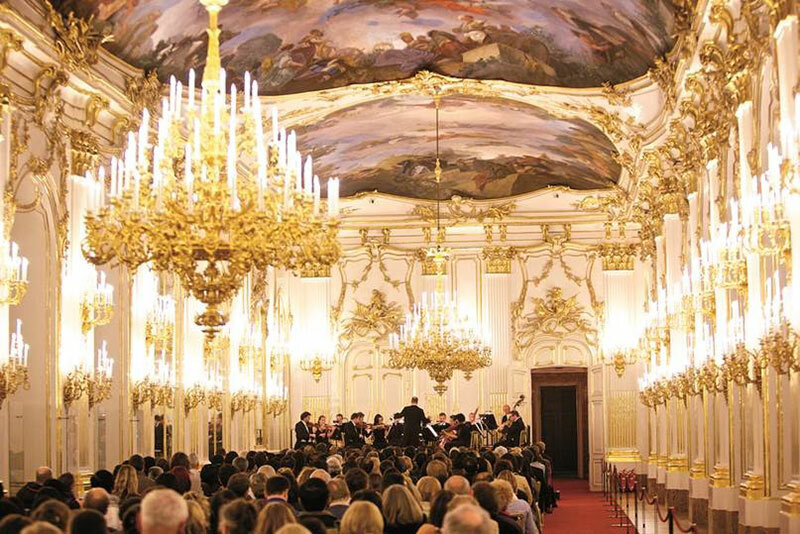 Some concerts of the Schoenbrunn Palace Orchestra are organized at the beautiful White and Gold Room inside the Main Palace. 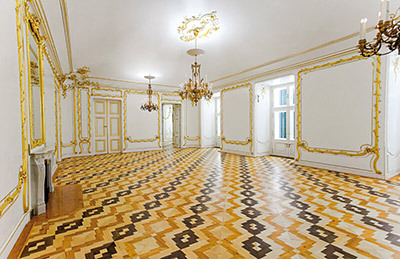 The suite of rooms on the south side of the palace known as the White-and-Gold Rooms was decorated in the 1760/70s, and with its white-and-gold-panelled walls and varying rocaille décor is an outstanding example of Rococo craftsmanship from the era of Maria Theresa.